CHL Part IV: How to buy Chinese books from Taobao – Hands-On Chinese Fun! I thought I was done buying Chinese books for a while since I just bought 259 last month… but… could I resist the BIGGEST SALE EVENT on November 11?? So I bought another 26 books as shown below. The total cost of books + shipping to USA was $55.80, or $2.15 per book. Compare to USA e-bookstores selling books for $7-$20. Buying from TB means you can get 4x as many books for your money! BOOK SETS. You will save the most by buying box sets of I Can Read, Reading 123, Roald Dahl, Mi Xiao Quan, etc. Issues such as counterfeit/lost/damaged items! However, you can minimize these by following the tips below. FYI: I’m sharing my experience shipping to the USA because that’s where I live, but TB also offers global shipping to other countries like Canada, Australia, New Zealand, and Japan. Click to see shipping rates. Taobao is a China website and every single word is in Chinese. While it is possible for non-speakers to navigate it, it will be very challenging. As with buying books in Singapore, you should always BUY IN BULK. It will not be worth your time or money to buy 1-2 books, as the minimum shipping fee is $13. The more you buy, the lower the shipping per item. You have to make two separate payments. The first payment is the cost of books (domestic shipping is usually free). When all your items have arrived at the warehouse, you pay for international shipping to your address. Cost of international shipping is based on weight. I buy mostly paperbacks (平装) and a few hardcovers (精装) to save on shipping. Are you ready?? Buying from TB is not easy, but will save you hundreds (or thousands) in the long run. Step 1. Register for a Taobao account. Use a computer to register for an account on World Taobao. If you experience problems with setting up your account, please refer to this article. Step 2. Download the Taobao app. I prefer the app as it’s easy to browse, check delivery status, and get notifications. Step 3. Change your location to USA. When you do this, it will automatically convert and display prices in USD. Much easier than trying to convert RMB in your head. Step 4. Browse and add items into your cart. I’ll recommend these bookstores because I’ve had good experiences, they have high ratings of 4.8/5, and large inventories of books. You can browse by category, age, sale items, or search the storefront. There are usually a lot of sellers selling the same item. I filter by 天猫 (TMall) and 销量 (sales volume). I always choose TMall when if available because they are bigger businesses and accept Visa. The prices may be slightly higher than regular TB, but it’s completely worth it for peace of mind knowing that you’re buying from a real business and not some guy peddling fake goods. Of course, you should always read the reviews about the item and seller. I suggest you buy from as few sellers as possible. Less trouble that way, and you get free domestic shipping too. Step 5. Confirm the items in your shopping cart and check out. Make sure you have the correct address and mail carrier before you click “提交订单”. You cannot change it after you click this button! You’ll have to cancel and do everything all over. Domestic shipping is usually free if you meet a minimum purchase and it will show “免邮” at checkout. You have three choices for your international mail carrier and the default is EMS. I choose USPS because I had a bad experience with EMS in the past. Step 6. Payment by Alipay. After you place your order, it will show up in the tab 待付款 (awaiting payment). You have to pay by Alipay, which is the Chinese version of Paypal. Set up an Alipay account and enter your credit card information. Don’t worry, this is just a one-time annoyance because you won’t have to enter credit card information again in the future, just your Alipay pin. Obviously, don’t forget your pin number! Step 7. Wait for items to arrive at warehouse. I’m pretty impressed with the speed of Chinese sellers and couriers. Items are dispatched within hours and arrive at the warehouse in 2-3 days. If there are any issues or questions, the seller will message you via the app. They often send a message to you to confirm your order before they mail it. It takes a couple more days for items to “入库” (be entered into the warehouse system). Extremely detailed tracking information can be found by clicking on the 待收货 delivery van. Once all your items have been entered into the system “正常入库”, you will have the option to consolidate and pay for international shipping. If you have any prohibited items (e.g. electronics, magnets, liquids), they will be rejected by the warehouse. They will text you (in Chinese of course) and ask you how to proceed. You can tell them to mail it back to seller to return it 退货. Step 8. Pay for international shipping. International shipping is based on weight of the package. To give you an idea, my package of 26 paperback picture books cost $29.57 USD in shipping. I got a discount of 36 RMB this time and I don’t even know why. 11-11 promotion maybe? After you click “确认订单”, your order will show up on the awaiting payment tab. Pay by Alipay again, same as Step 6. Step 9. And you’re done! Check your app over the next few days to make sure your package is on merry way to the USA. Expect it be stuck at the port of entry for days and days for inspection. After inspection is cleared, it will finally make its way to where you live, YAY! It usually takes about 2-3 weeks total from when I first order the books to get them in my hands. I wasn’t able to get much tracking info from TB app, it didn’t update the tracking once it arrived in the USA. However I was able to track the package on the 佳成USPS website and it showed the transit path through different US cities before finally arriving at my house. I’ve used USPS several more times since and have had satisfactory experiences. I will continue to use them. Some readers had some questions so I thought I would post a FAQ here. FAQ: How much does shipping cost? Obviously I have no way of knowing exactly how much your shipping will cost, but as an estimate, expect to pay around the cost price of the books. E.g. If you paid $50 for books, you will pay about $50 for shipping to USA. The more books you buy, the cheaper your shipping per item will be. Do not buy just 1 or 2 books because you will pay a minimum of $13 shipping per package, completely not worth it for a couple books. FAQ: Shopping on Taobao is soooooo intimidating!!! AHHHH!!!!! It really is not that bad. It’s only hard the first time. Every time after that it’s super easy and you can even place orders on your phone in the middle of the night half asleep. I do this all the time. 😛 If you can read basic Chinese, you can do it! Just try it with a small order of around $20-$30 to test the waters. FAQ: What items can I buy on Taobao? There is a long list of prohibited items that you cannot ship internationally. For example, USPS would not ship a Bunny Story Machine 火火兔 because it contains a battery, and I had to pay 12 RMB (about $2) to have them mail it back to return it. In general I just stick to buying books and occasionally games/toys. If you would like to purchase the Bunny Story Machine or other electronics or sensitive items, you have to use an agent such as Viatang, Bhiner, etc. Of course you have to pay them an agent fee plus miscellaneous fees. FAQ: Does USPS repackage for you? For this reason, I strongly caution you against ordering anything that might be fragile. If you are ordering something with a cardboard box, do not expect the box to arrive in good condition. Mentally prepare yourself that whatever you order may be destroyed during shipping. FAQ: Are the books from TB of poor quality? It really depends! Some of them are EXCELLENT quality, even better than English books. Others are soooo awful, like they were printed by a color printer running out of ink. If you follow me on Facebook, I’ll try to keep it updated on the books I have. I suggest you read the reviews all look at the real photos from buyers instead of the stock photos which may be completely fake. FAQ: When are TB sales? Their biggest sales of the year occur on 11/11 and 12/12, but there is generally a sale once a month on various dates. What I do is add everything into my cart and wait for the next sale to check out. The savings can be quite significant! For example, the 3D 西游记 book goes on sale all the time, from 250 CNY to 150 CNY ($35 USD to $25 USD). If you check your cart every so often, they will let you know of upcoming sales. E.g. right now it shows that on 4/18 those items in blue will go on sale. In addition to that, be sure to click on the “领卷” (coupon) button in the corner and it will show you store coupons, e.g. 5 CNY off a 68 CNY purchase, 10 CNY off a 99 CNY purchase, 20 CNY off 199 CNY purchase. FAQ: Can I pay by credit card? Yes, the first time you pay, you enter your Visa credit card information to Alipay (Chinese version of PayPal). Every time after that you don’t have to enter your credit card anymore, just your Alipay PIN number. Some readers told me their credit cards were declined, which could be due to fraud prevention. Call your bank to ask them to approve it or try a different card. One of my blogger friends over at Motherly Notes just had a VERY SUCCESSFUL experience using EMS 中山 as her forwarder. Everything arrived in good shape in less than one week to East Coast USA! So I think they have improved massively since I wrote this blog post, so I’m going to give them a shot for my next order instead of my usual USPS. Questions? Contact me via my Facebook page. 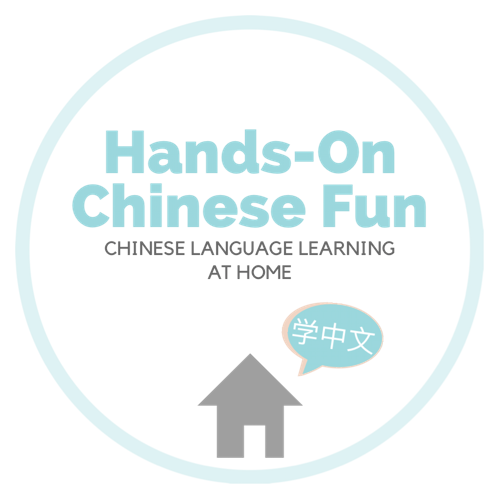 Pingback: Pinyin Part I: Learning Phonemes – Hands-On Chinese Fun! Pingback: Chinese Home Library Part V: Finale – Hands-On Chinese Fun! Pingback: Preschool Reads:《可爱的鼠小弟》Little Mouse Series – Hands-On Chinese Fun! Pingback: How to Buy Books from Taobao When You Can’t Read Chinese – Hands-On Chinese Fun! Pingback: Preschool Reads:《我的神奇马桶》My Magical Toilet – Hands-On Chinese Fun! Pingback: Preschool Reads:《植物大战僵尸》Plants vs. Zombies Picture Books – Hands-On Chinese Fun! Pingback: Taobao Shopping for those Fluent / Non-Fluent in Chinese – Hands-On Chinese Fun!